The state troop recruitment agency said Tuesday that it will devise "reasonable" ways to improve the active-duty military service exemption program that critics say has unfairly favored athletes and artists for their onetime wins in international competitions. 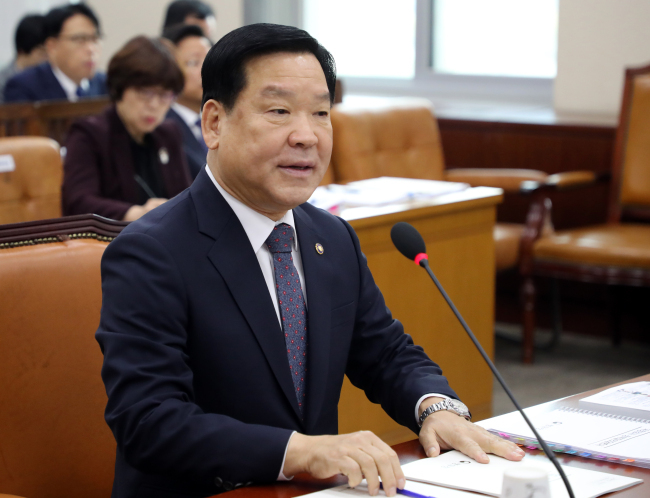 In its policy briefing during a parliamentary audit, the Military Manpower Administration said that it is currently running a joint task force with the Ministry of Culture, Sports and Tourism to improve the program "in light of fairness." "There needs to be a review of the program to ensure that the draft system is implemented fairly," the administration said. "We will seek to commission an outside agency to conduct research on it and hold a public hearing to solicit public opinions." Controversy over the decades-old exemption program erupted during this year's summer Asian Games in Jakarta and Palembang where dozens of South Korean athletes qualified for it after winning gold medals. Critics have raised questions over the fairness and transparency of the program, arguing that some could exploit it to avoid military service, particularly at a time when the country is seeking to cope with a potential shortage of draftees likely to be caused by the nation's low birthrate. Under the current military service act, an athlete who wins bronze, silver or gold at the Olympics or gold at the Asian Games will be exempt from active-duty service and assigned to nonmilitary public-service jobs. An artist who takes first or second place in an international contest will also be granted an exemption. Some experts have proposed creating a system under which athletes accumulate a certain amount of points through their victories in international competitions to qualify for the exemption, rather than granting it for winning in a single event.